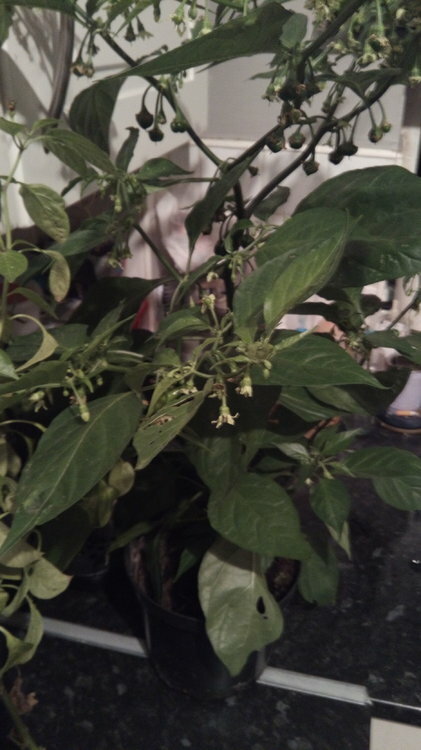 Brought my habanero indoors.Temp dropping rapidly and it won't like being in the unheated greenhouse. Seed-wise, I’ve got lots of Red Basque chillies and Beam’s Yellow Pear tomatoes. Will happily swap for large-fruited medium-heat chilli varieties.